Thanks to the publisher, I have five copies to give away to lucky readers with US mailing addresses. Simply enter on the form below by noon Eastern on Friday, November 30. 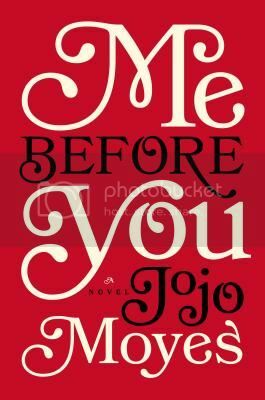 Also make sure to check out the Me Before You playlist and the Me Before You Twitter chat hosted by Publisher’s Weekly from 1-2 pm Eastern on December 6th, hashtag #JoJoPW whether you win a copy or not. This one sounds really good. Too bad the giveaway is not open to Canadians. Yes, unfortunately the publicist said she is only able to ship within the U.S.